Along with having book projects on the mind, we’ve also been bursting with spring inspiration. A simple trip back to the Los Angeles Flower Mart always helps to kick that in gear. In Southern California we’ve had some pretty summer-like temperatures happening, and along with daylight savings time, it feels as though spring is in full swing. We’ve rounded up a bit of “springspiration” for the home, style, and table that has had us head over heels for the new season. Brighten up your walls with a beautiful photo of spring ranunculus. Make these delicious peachy keen creamsicles in spring by substituting peaches for any fruit in season. 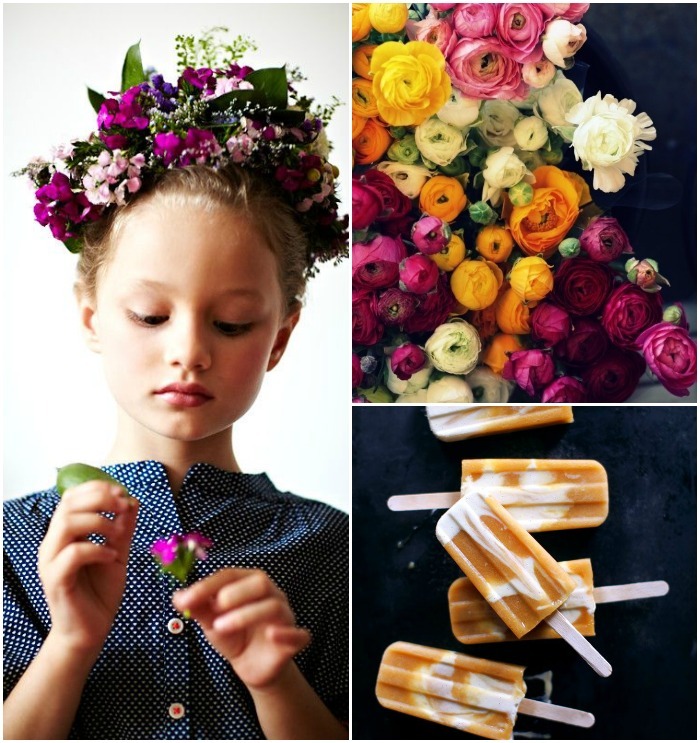 Be inspired to make a crown out of spring flowers from this beautiful photo by Chaunte Vaughn. Make a batch of pastel cream puffs for friends and family. 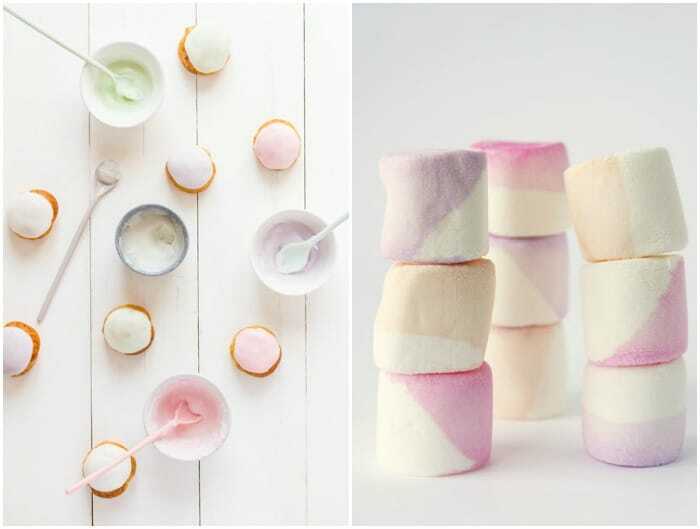 Check out the coolest tip for making color-dipped marshmallows. Did I mention I can’t seem to get enough of ranunculus this spring? I adore this photo by Aran. If you know how to knit, consider whipping up this dishcloth made by Wiksten. You can find a simple pattern for making one on Delightfully Simple. 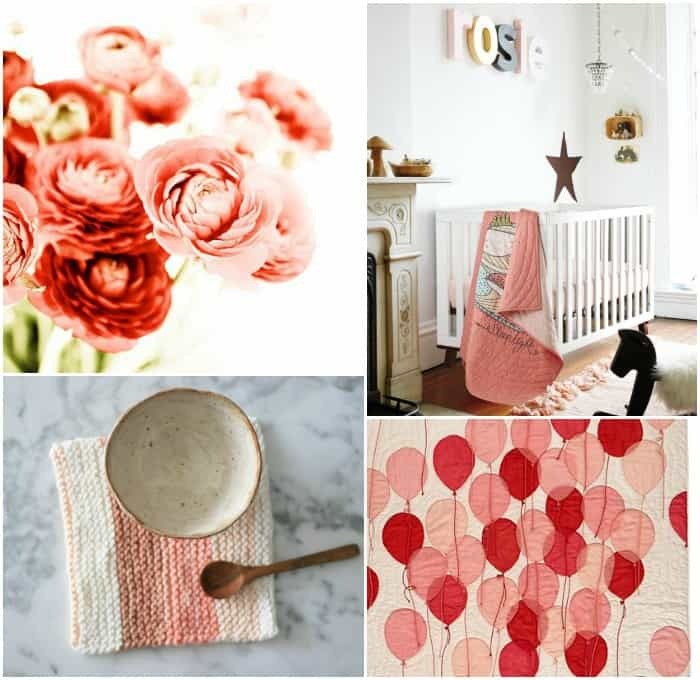 This gorgeous nursery and quilt from Land of Nod are too good to be true. Prepare for Easter by planning out your ombre Easter Eggs. Head out on a spring picnic in the cutest Monte Carlo dress. What is inspiring you to ring in spring this year?